As with most thing, developing a real love for art is a process where you likely need to walk before your run. Most people have had some sort of exposure to art at some level, whether it is decoration in your living room or from a visit to a museum. A true art appreciation in art, however, means getting a real footing in the range of mediums that comprise the art scene. One of the best places to start to get your feet wet on your journey is through Impressionism. 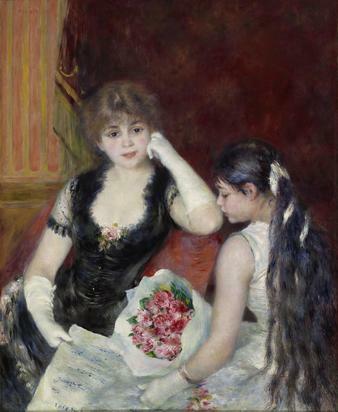 The Impressionist movement encompasses some the great painters such as Renoir and Degas in paintings with an intense mix of color and light that make it attractive to most art pallets. What is even more attractive to someone just beginning a journey into art is that the scenes depict modern life in the age the painter’s lived. Scenes from parties and bars and beautiful sunsets can give a brilliant peak into a time long ago and help bridge the gap into seeing the life around us with new eyes. The best thing about these paints is it can nurture a love for other art forms. 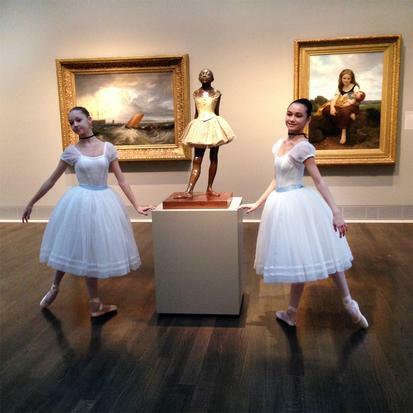 The Museum of Fine Arts in Houston has The Age of Impressionism on exhibit now until March 23, 2014. This exhibit showcase some of the great masterpieces in this era and Houston is lucky enough to be the second and final showing of the collection in the United States. In addition to the beauty of the exhibit itself, the museum offers some great opportunities for the whole family to get up close and personal to the pieces. The Voila! Sketching with Sunlight and Teas and Tutus events allow for parents and kids to take a new approach to an art collection through interactive activities that help you put your mind around the skill and craft it takes a master to create their masterpiece. Young or old now is a great time to begin on your road to art appreciation.